The word “panini” is actually a plural form of saying “panino”, which means “bread roll” in Italian. So in a literal translation, the panini grill is a grill for bread rolls. That is mostly right – but there is so much more to create with a panini grill. From breakfast to late-night snacks, this countertop cooking appliance proves to be a durable and versatile addition to any kitchen with limited space. A commercial panini grill, also known as a sandwich grill, panini maker or panini press, fits perfectly on countertop areas. It’s because of this that bars, small restaurants and cafes find this piece of equipment beneficial. This small piece of cooking equipment can cook everything from wraps, burritos, vegetables, burgers and toasted sandwiches. 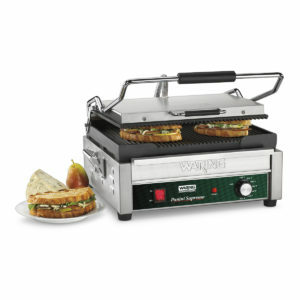 Operating via heated top and bottom plates, the panini maker works by forming a press that grills items simultaneously on both sides. 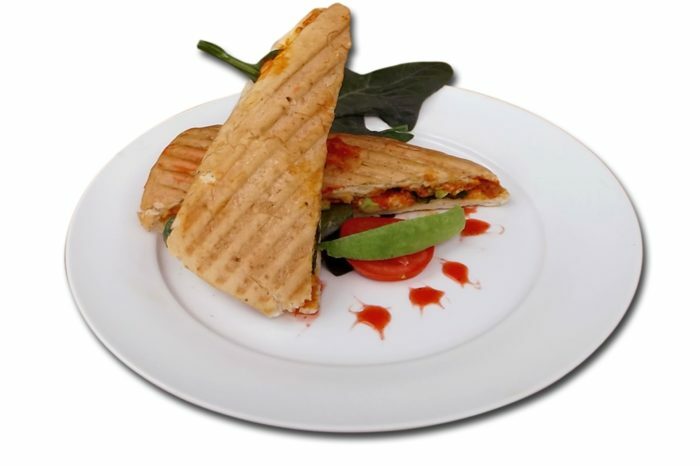 Panini press plates are usually made from cast iron or aluminum and are either smooth or grooved in construction. Grooved plates provide the distinct grill marks for an added visual appeal and work well with meats, vegetables, fish and sandwiches. Smooth plates are typically easier to clean and are a great option for burritos, wraps and sandwiches. Split-top panini grills are also available for producing a larger volume of items at once. With the help from a blender and a cutting board, you can make fresh guacamole and tortilla chips without a fryer or full commercial kitchen. What’s better, you can make batches of chips and guacamole ahead of time for happy hour crowds or late-night revelers. 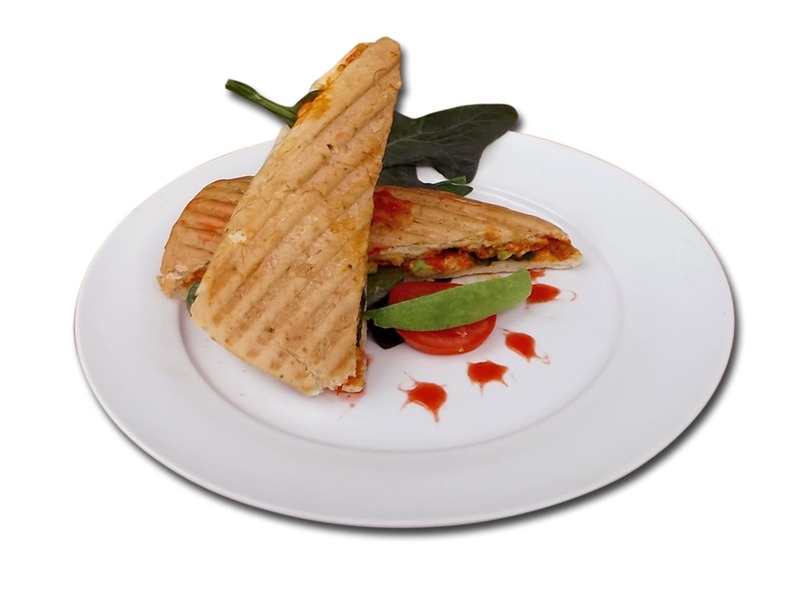 Grilled cheese sandwiches have a low food cost and add value to a menu for food and beverage businesses with limited space and hungry customers. These sandwiches can be made fast and can be customized for variety. Offer different types of cheeses, meats and spreads to bring a truly unique dining experience to your customers. Do you see a large commuter crowd travel by your café or coffee bar? Why not offer something hot and sweet that they can tote along on the way to the desk. With a little preparation before the rush, you can boost profits and sweeten up the morning of under-caffeinated customers with stuffed French toast panini sandwiches. Vegetarians and meat eaters alike can enjoy these easy to make grilled vegetables and mozzarella panini sandwiches on their next lunch break. With the help of a split-top commercial panini grill, you can grill vegetables and complete sandwiches at the same time. Keep the line moving and the cash register chiming with this quick and easy recipe. Learn more about what type of commercial panini grill is right for your restaurant by contacting one our superior sales specialists.